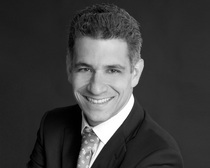 David, a Fellow of the American College of Trial Lawyers, has litigated numerous high profile corporate and commercial cases, trade secret misappropriation disputes, and trust contests. David has extensive first-chair experience litigating claims for injunctive relief and expedited trials on the merits, as well as other corporate and complex commercial disputes, in the Court of Chancery, the Supreme Court of Delaware, and other courts across the country, as well as in both AAA and JAMS arbitrations. According to Chambers USA, clients and peers have described David as "one of the best trial room practitioners I've ever seen," "smart and effective in cross-examinations and depositions," "an extraordinarily hard worker who is very well respected by the courts," and "a brilliant writer." David regularly serves as lead counsel in significant disputes in the Court of Chancery. David's current matters including serving as lead counsel for Facebook and certain of its directors in litigation arising out of its proposed reclassification. Much of David's work involves expedited litigation, including corporate control disputes, busted deal litigation, summary statutory proceedings, and defending stockholder challenges to pending transactions. In addition, David has served as lead Delaware counsel in several high-profile disputes. David also has substantial experience as lead appellate counsel in appeals both inside and outside of Delaware. David has argued numerous appeals in the Delaware Supreme Court, as well as appeals in other state appellate courts. A member of the Court of Chancery Rules Committee, David has written and spoken about issues of corporate law and trial practice. David has spoken at both Harvard University Law School and Columbia University Law School on strategy in high stakes Court of Chancery litigation. David also recently served as a panelist on the Delaware Developments panel at the Tulane University Law School's Corporate Law Institute. David previously served as the co-chair of the Delaware Corporate Litigation subcommittee of the ABA Litigation Section's Commercial and Business Litigation Committee. Before becoming a founding partner of the firm, David was a partner at Connolly Bove Lodge & Hutz LLP, where his practice focused on corporate and commercial disputes in the Delaware Court of Chancery. From 2001 through 2008, David was a partner at Kellogg, Huber, Hansen, Todd, Evans & Figel, P.L.L.C., where he litigated in trial and appellate courts throughout the country, including numerous cases in the Court of Chancery.